Clint has more than 35 years of experience handling a wide array of business and real estate matters. He frequently provides representation to clients engaged in commercial real estate transactions, including the acquisition, disposition, financing, development and leasing of various types of real property. In addition, Clint handles a variety of complex business disputes, often encompassing elements of employment law and corporate law, as well as other legal sectors. 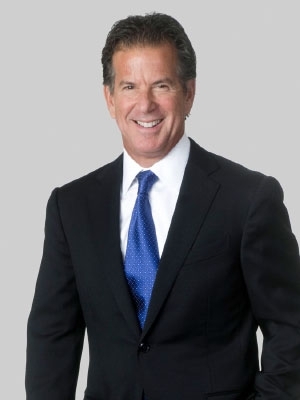 Prior to joining Fox Rothschild, Clint founded and served as managing shareholder of David & Goodman, P.C. for more than 30 years. In this role, he was responsible for the overall direction and strategy of a firm representing clients of all sizes, from Fortune 500 corporations to small, family-owned business. While in law school, Clint was a member of the Order of the Coif, as well as the Lead Articles and Book Review Editor for the Texas Tech Law Review. Clint has been regularly called upon by both local and national media outlets to provide insight on a range of legal issues. He has frequently appeared as a legal analyst on national and local television and radio broadcasts. Clint was also engaged by local media outlets to explain the legal nuances and strategies involved in the largest public corruption trial in Dallas history, which involved a city council member. He has conducted a weekly legal commentary in his segment DaybreakUSA Legal on nationally syndicated IRN/USA Radio and had a regular Ask the Lawyer segment on Sirius Satellite Radio. Clint is also a marathoner, addicted to CrossFit and is the lead singer of the band Forest Lane. Clint is an active member of the CEO President’s Club and serves on the Board of Directors for the Alliance in Reconstructive Surgery (AiRS) Foundation. He also served as a member of the Board of Trustees of the Greenhill School for 15 years and is a past member of the Board of Directors for the Dallas Holocaust Museum/Center for Education and Tolerance.